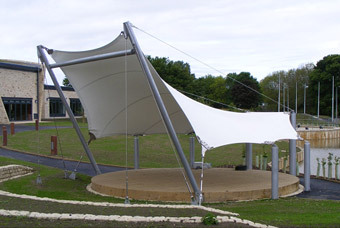 Below are some examples of how AJ Tensile Tension Structures has helped our clients to realise their visions, from projects such as large-format printed banners to XZY structure. 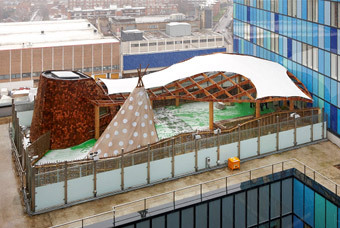 The remit was to design, manufacture and install a bespoke PVC tensile fabric roof membrane to be fixed to the glulam timber lattice support structure. 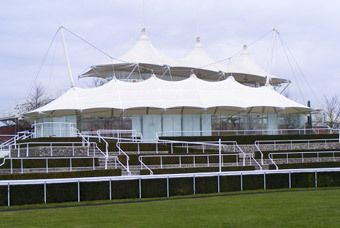 AJ Tensile were contracted to dismantle and remove four existing canopies, then design, fabricate and install four replacements utilising all existing steelwork, cables and fittings. 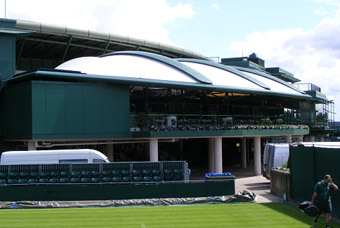 In September 2010 A J Tensile were asked to look at designing a pair of almost identical canopies on the South East and South West corners of Court No.1 at the All England Lawn Tennis Club, Wimbledon.